The advancement of technology has contributed to many changes in business. 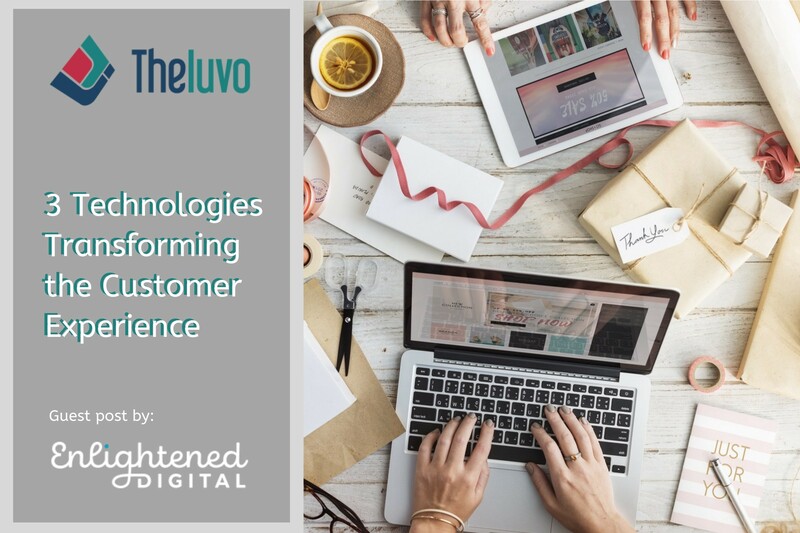 One area in particular technology has had an impact on is the increased demand for exceptional customer experiences. With technology at their fingertips, today’s customer is in full control. Savvy businesses understand that one bad interaction with a customer service rep, outdated platform, or unfulfilled promise of any kind can have devastating repercussions. Optimizing every stage of your customers’ journey is critical. The following technologies can help you achieve this goal. With an estimation of 125 billion devices being connected to the IoT by 2030, this growing technology is sure to continue making an impact on multiple industries. In terms of customer experience, the IoT can provide the necessary insight to offer your customers the most personalized and relevant service possible. – Recommends products based on their past purchases. While the best way to figure out what your customers want is to listen to them, IoT can help improve communication in a number of ways. Utilizing IoT connected sensors, data can be collected on customer usage patterns, providing you an inside look at each customer’s preferences. From there you can leverage that data to offer customers hyper-relevant suggestions for timely refills or other products that match their interests. Sensors can also be used to give you and your customer updates on the status of current orders. This personalization in connection with predictive analytics helps you meet customers demands for brands anticipating their wants and needs. The combination of two of today’s most innovative technologies – artificial intelligence and the IoT – produces the development of predictive models. Utilizing condition-based monitoring sensors, businesses can be made aware of faults before they become a larger issue, allowing your team to provide timely maintenance services and eliminating downtime for customers. AR and VR have officially emerged beyond the gaming world and are now serving as excellent tools in business efforts to improve customer experiences. These virtual reality technologies are transforming the way brands engage customers by allowing them to interact with their products in entirely new ways – creating immersive, personalized experiences by simulating real-world experiences with products before any actual transaction takes place. Home improvement and fashion brands, in particular, are creating exciting new opportunities for their consumer through these technologies. Home furnishings store IKEA, created a free iOS application called IKEA Place which allows users to browse the stores’ product offerings and virtually preview how their favorite items would look in their actual home, all from their smartphone. This creates a unique experience for customers as they can get an idea of how items will fit into their lifestyle rather than a store model or pre-designed ad. Retail superstore Walmart is also leveraging VR technology in its employee onboarding process. In efforts to more effectively train employees on customer service, VR headsets are used to experience an array of real-world scenarios. Providing employees a chance to test techniques not only helps them better handle situations but offers consumers better service and therefore better experiences. Furthering the trends of hyper-personalized experiences, beauty brands such as L’Oreal and Sephora are using AR technology to give shoppers a chance to visualize themselves with new hairdos and makeup looks. The L’Oreal’s Style My Hair and Sephora Virtual Artist AR apps allow customers to virtually try different looks on a picture of themselves. The apps use a smartphone camera to map the shape of a customers facial features and overlays the beauty products on their face or head. 90% of customers today expect to receive an immediate answer to issues related to customer service. For most companies, even the best support teams will struggle to meet these demands. Fortunately, artificially intelligent chatbots are revolutionizing what it means for consumers to communicate with company service teams. With the advancement of emotional AI, conversational bots can efficiently reply to customer inquiries with the appropriate choice of words for the most helpful, empathetic responses. – Ordering food: Numerous take-out restaurants including KFC and Dominos have adopted chatbots that enable customers to place orders through them. Some brands’ bots even have a bit of personality, capable of telling jokes, using emojis and answering trivia questions. – Booking flights: To speed up the process of booking flights, some airlines are using chatbots to help customers search the information they need. This also allows for all conversations and searches to remain in one thread for easy post-purchase review. – Healthcare services: Easing the burden of both patients and medical professionals, chatbots are facilitating faster service in medical diagnosis, health questions, and appointment booking. What both large and small businesses today need to realize about their customers is that they want to be valued. Going the extra mile to let them know you appreciate their business and recognize them as more than a just a number can make all the difference in how your brand is mentioned online and the number of customers who chose to stay loyal. By utilizing the technology tools listed above, you can meet these demands. This guest blog post was written by our partners at Enlightened Digital. We hope you’ve found it interesting and informative. Sound off in the comment section! Author Bio: Maddie Davis is a co-founder of Enlightened Digital and a tech-obsessed female from the Big Apple. She lives by building and redesigning websites, running marathons, and reading anything and everything on the NYT Best Sellers list.